We manufacture high quality Cup Washers. These are similar to Disc washers. Cup washers are usually made of light gauge steel, brass, leather, or plastic in a wide range of sizes and designs. Mainly used for decorative or supportive element for screws and bolts. It is also used in insulation. Reckoned as a leading and eminent business name, we are actively committed in delivering to our patrons’ highly reliable assortment of Cup Washer. Available with us in multiple provisions, we assure delivering these to our customers on time. We have available with us good quality Cup Washer. Dimension/Size: M4 , M5 , M6 , M8 . Backed by our rich industrial experience in this domain we are devoted towards offering Cup Washer. We are Leading Manufacturers of Cup Washers. 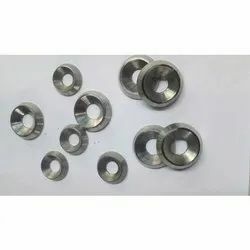 We are highly appreciated for manufacturing and supplying high quality range of Cup washers that are developed using best quality materials procured from reliable sources. The Cup washers are mainly developed to meet the emerging demands of our customers. Our customers can avail from us an excellent quality range of Machined Cup Washers. 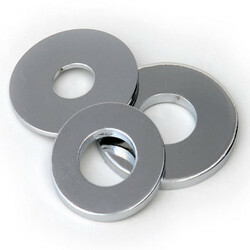 These Machined Cup Washers are available in various sizes and specifications. Our Machined Cup Washers can be customized as per our customers specifications and it can be availed at most reasonable price.